For at least 7 days we had permanent rain, dense dark clouds covering the sky, fog and cold weather. Nevertheless, our thoroughly wet mountain town celebrated the Day of the Dead as enthusiastically as ever, awaiting for the Souls of our Dead Ones on their way back home. We knew they would be guided by the color, the music, the smells, flavors and rituals contained in our majestic ofrendas, a tradition passed over from generation to generation. Monarchs, the Souls of our Dead Ones, the Daughters of the Sun, delayed their arrival certainly due to the weather hardships on their way to our mountains, their final destination. However, their symbol was indeed a central part of our festivities. Yesterday, November 6th, we were driving along the lowest mountainsides of Sierra Chincua, we could finally spot the first pair of heavy, strong, orange, energetic wings winning the race! We were crying the moment we saw it, the first lonely monarch flying in. This was happening exactly at 13 hrs. 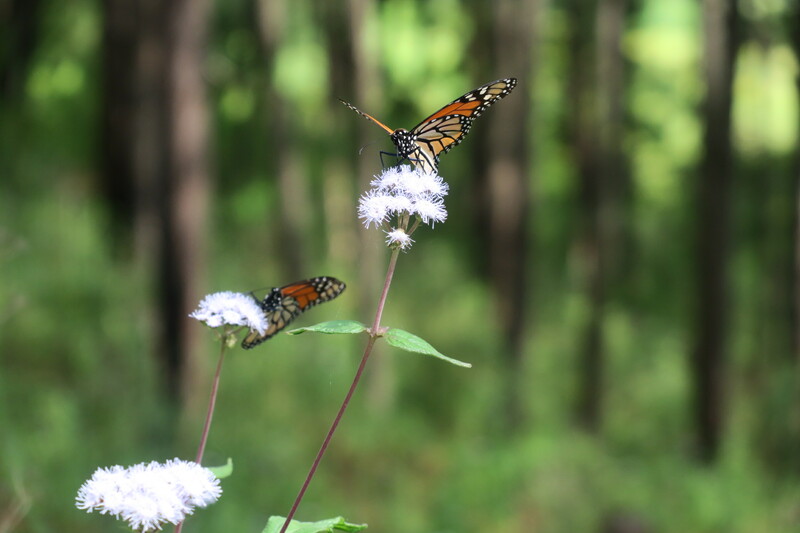 Several hundreds of meters ahead, a few others, around 4 more—and by rather late in the afternoon, around 30 Monarch butterflies in total could be seen doing a proud, slow and majestic flight. They were very high up in the sky, rather very scattered around along the lowest mountain sides of the Sierra Chincua mountain range heading rather to the valley of Angangueo which known beautiful forests are known as “La Cañada” and the well known and actually obligued, “El Cerrito” location. 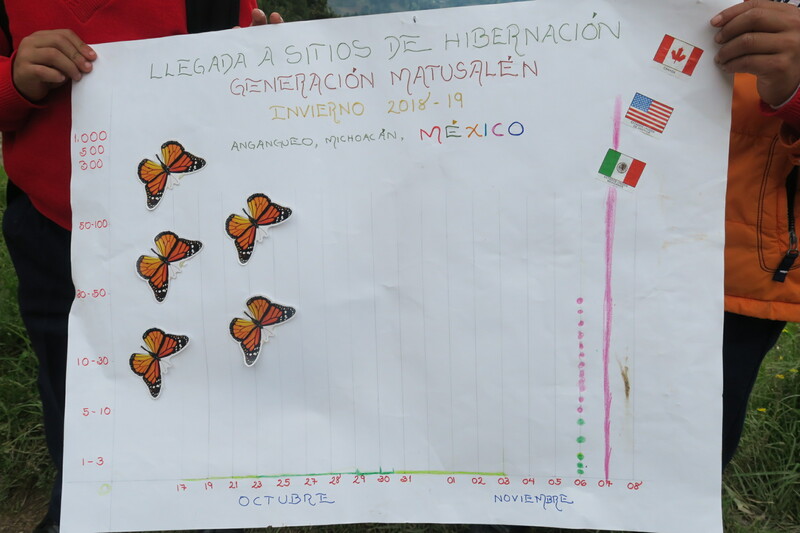 Then – at about 13:00 hours today - a few more came from the same north direction overflying “El Cerrito” area, and then some more!, and right after, many, many more Monarchs started to rush down as if from the Sierra Chincua mountains down to the valley of Angangueo and maybe towards El Rosario Sanctuary!!!. By 14:00 hrs., they were maybe dozens and dozens of them rushing down! 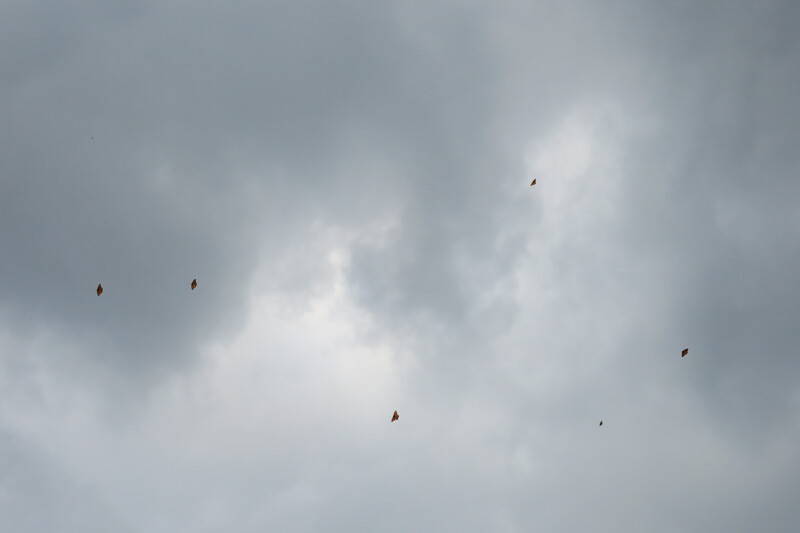 I wish my camera would have been able to catch them flying so high up and so actively! Dear friends! Let us allow ourselves to now declare the massive arrival taking place on November 7th., at 13:30 hours to our Sanctuaries and to town!!! Our rivers, carrying wonderful quantities of rain water and our forests keeping an exceptional concentration of humidity level, might be a promise for a wonderful blossoming of our beautiful wild flowers going on, and by that rich sources of nectar for all or our pollinators including Monarchs, of course! 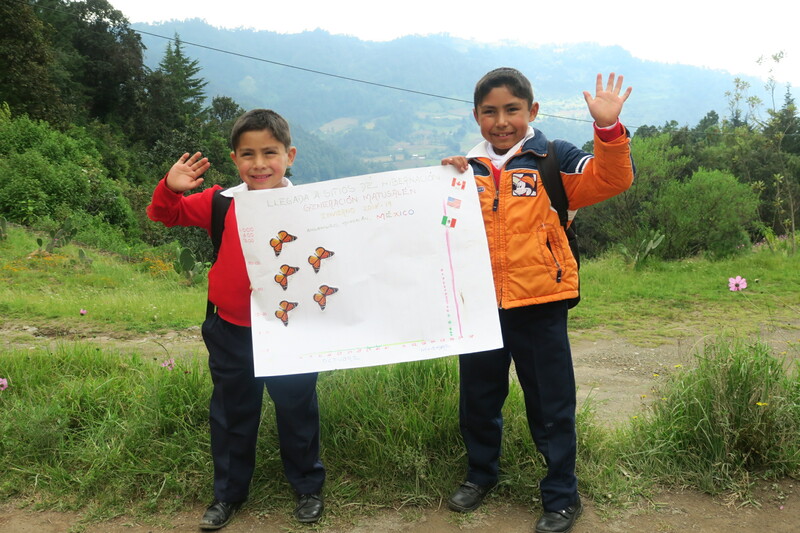 Ejidatario families at our two Sanctuaries and the surrounding villages are all full of joy hurrying to get facilities and forest areas ready to welcome Monarchs and visitors from all over the world. One more time, dear friends, tears of joy fill in the eyes of adults, and jumps and hurrah’s of happiness are in the screaming of our children! One more time, dear all, Monarchs are attending to their ancestral appointment; their ancestral commitment to travel to their winter home. Shall our three nations, Canada, United States and México, hold each other’s hands and bend our heads to them in signal of respect to His Majesty, the Monarch Butterfly.